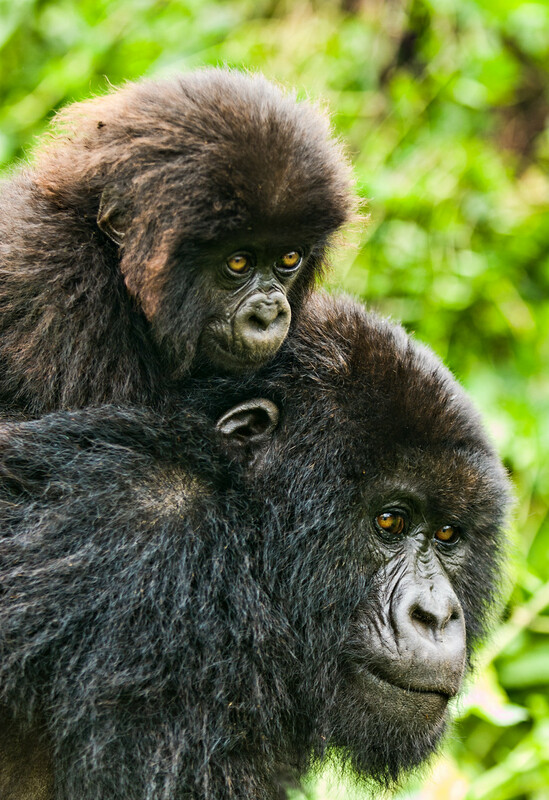 Mother Mountain Gorilla hugs her baby in wilds of Rwanda's Parq des Volcans National Park. 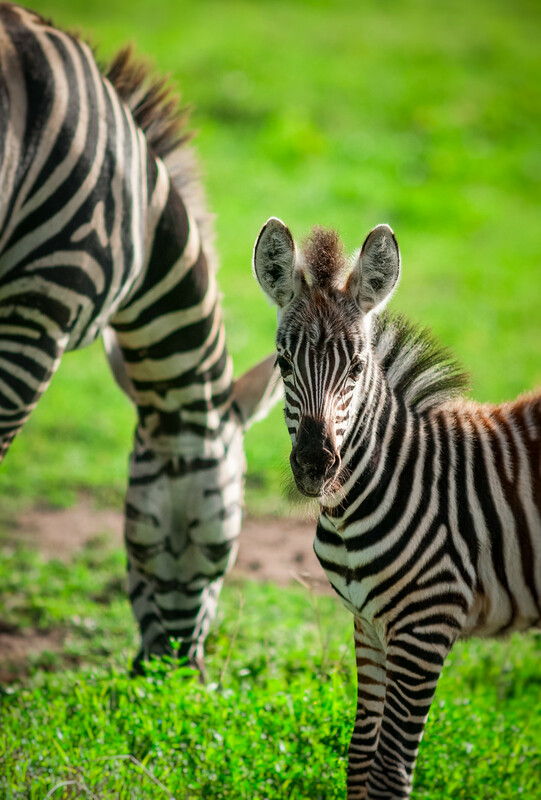 "Zebras and Flamingos and Flamingos"
Wild California Condor in Utah, close-up with red rock backbround. 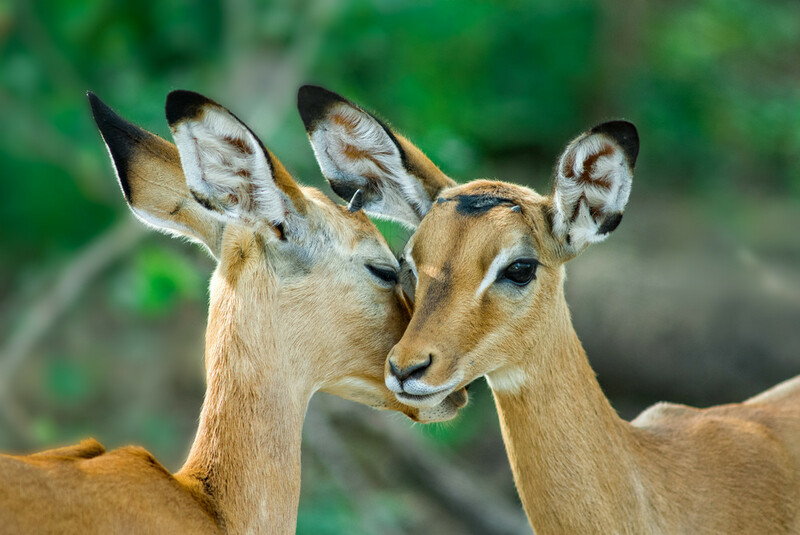 Young Impalas touch faces in the wild of Tanzania with a green leafy backdrop. 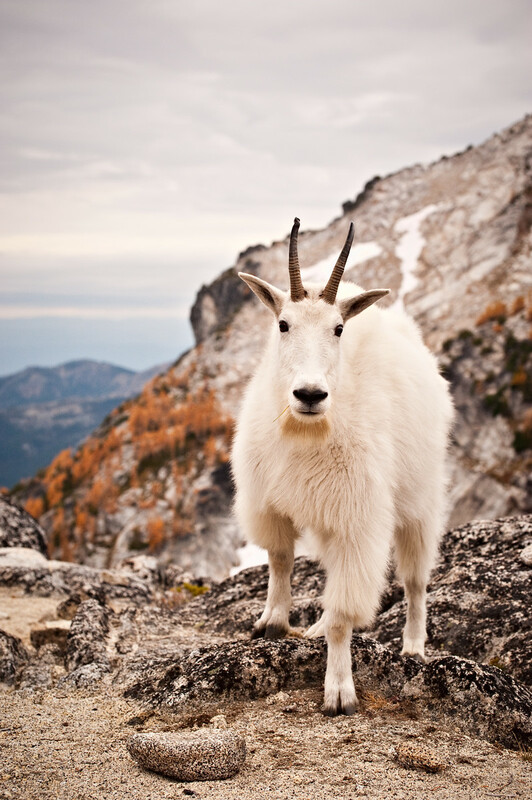 A mountain goat stands on the granite of the Enchantments range in the North Cascades with colorful larch trees in the backdrop. 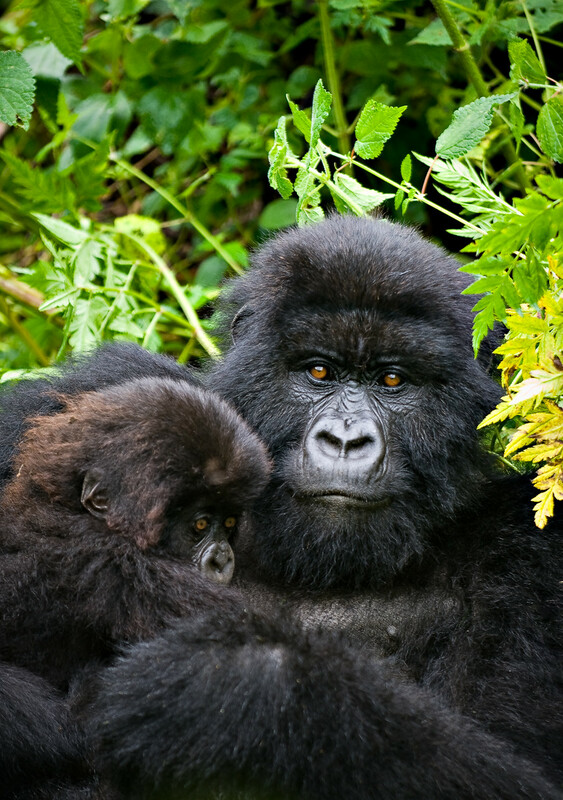 Mother Mountain Gorilla with her baby on her back in wilds of Rwanda's Parq des Volcans National Park. Closeup of a mother mountain goat with her baby lying down on granite within The North Cascade's Enchantments. 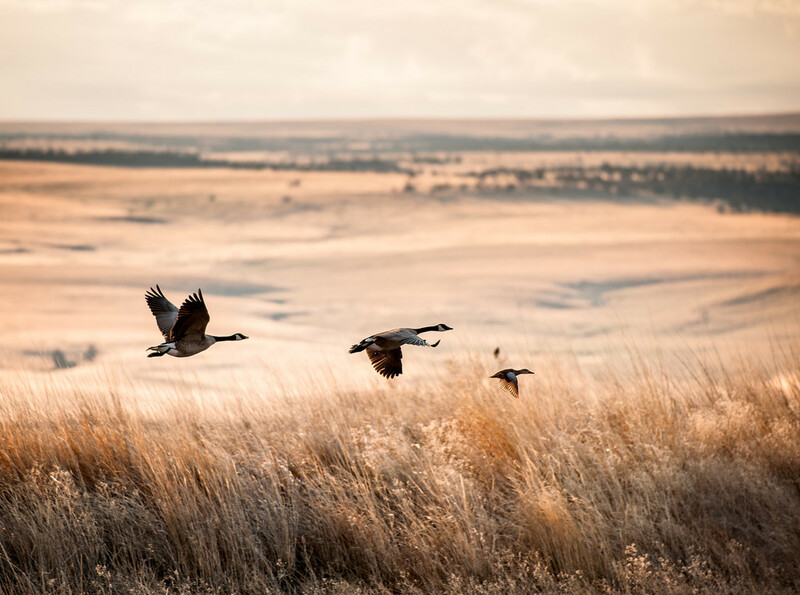 Two Canada Geese follow a duck in flight over dry grass with Steens Mountain in the background. Cormorants in flight and perched on pilings along the Columbia River on a foggy morning at Sauvie Island, Oregon. A horse in the wilds of Patagonia with Mount Fitz Roy in the background. Guanaco in Torres Del Paine National Park.